Most recipes for homemade cleaners include the addition of several drops of an essential oil. Essential oils in scents like orange, lemon, or lavender can add a happy touch of fragrance to a homemade cleaner. Some essential oils also have helpful properties such as the anti-bacterial properties of tea tree oil. I know for some folks its not easy to find essential oils in the stores and it can seem a little expensive too. I buy my essential oils at a nearby health store and usually pay between $5 and $8 for a small bottle, but it lasts a long time so I feel like I get my money’s worth. However for those not wanting to buy an essential oil but still wanting a little bit of scent, here’s a super frugal alternative. For homemade cleaners using vinegar (and lots of them do), simply infuse the vinegar instead using discarded peels from an orange. To do this, save your peels the next time you eat an orange, and put them in a small glass jar (I used a pint size canning jar). Pour some vinegar over the peels and let it set for a week or two. 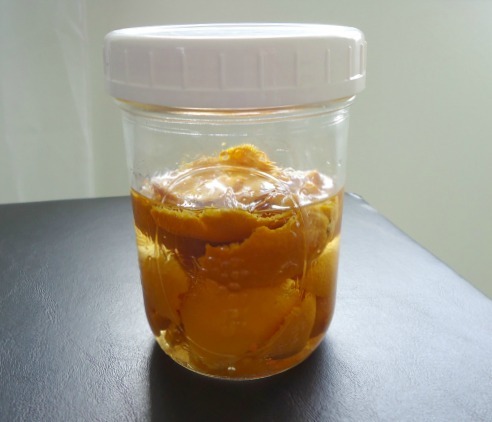 If you eat some more oranges in the next couple of weeks, add those peels to the jar too! My mixture ended up being peels from three clementine oranges with about 3/4 cup of vinegar. I left my mixture setting out at room temperature for two weeks and nothing grew mold or got gross, however if you are in a very warm climate you may prefer to keep your mixture in the refrigerator or to let it set for a shorter period of time. After you’ve let your vinegar mixture set for a week or two, it will have turned a slightly darker color and will be infused with the scent of the oranges. It still has a vinegar smell, of course, but it is tempered with the scent of the fruit. Maybe I’ll try this with some lemon peels next and see how that turns out. 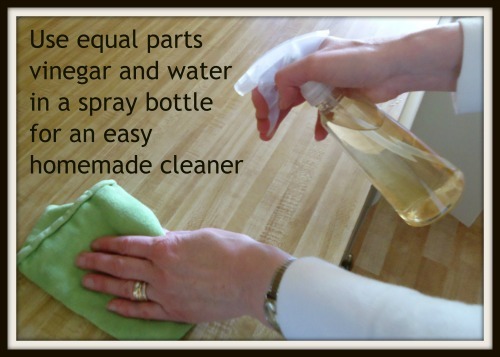 To use the scented vinegar in a homemade all purpose cleaner, you can simply mix equal parts water and vinegar in a spray bottle. Easy! This helpful hint was in a comment left by a reader. Wow that's great. 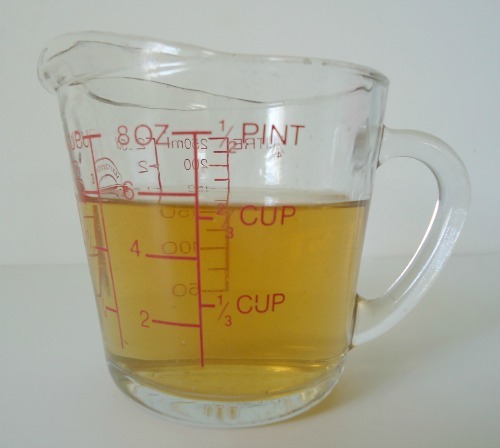 Vinegar is really good for cleaning. Our cheap orthodontics advised me to clean my braces with vinegar too. I just hope my mouth won't smell bad with that.